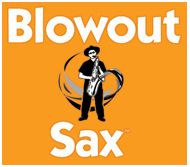 Chattage and the big blowout sax world record story now live here!! Mr Blowout Sax singing Bob Marley One Love with The Roosterz Choir at Bradford On Avon Roots Festival!! 21 March Jazz Factory Showcase Wiltshire Music Centre, Bradford on Avon http://www.wiltshiremusic.org.uk/whatson/upcoming? 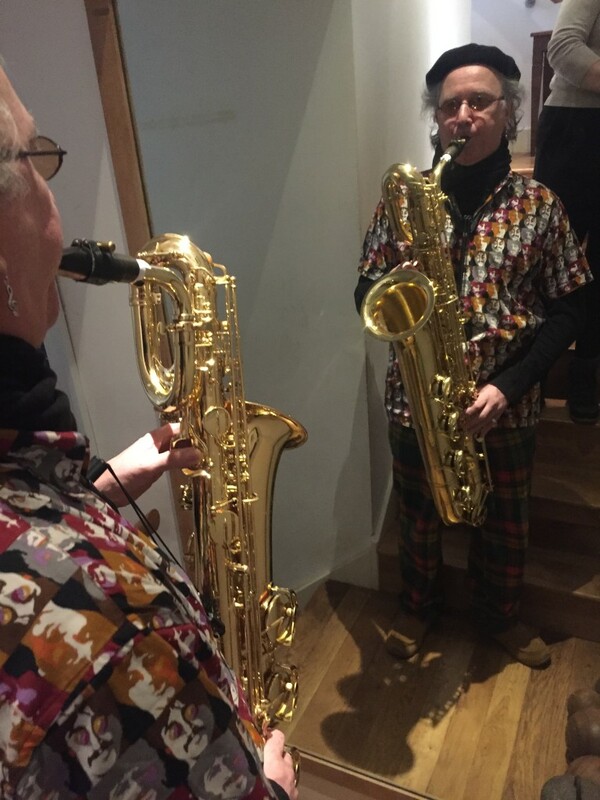 This week had the loan of a quality baritone sax and had a thoroughly enjoyable creation. Tell you what if Lisa can play and hold this I will take my trademark hat off to her!! It sits perfectly in Motown songs. Find out why we need to know about these guys. Without a doubt, the most famous and sought after saxophone around the world is the Selmer Mark VI. But why? Over the last 20 years, prices for Mark VI alto and tenor saxes have climbed to as high as $16,000 USD. Whole websites and blogs are dedicated to listing the ultimate serial number range for the “perfect” Mark VI and collectors seek out horns from lofts and under beds around all corners of the globe. How did this one model saxophone become such an object of desire and is there any truth to the myth? The Mark VI was first produced by the Selmer company in 1954. It was the sixth new model to come from the factory since they began making saxophones in 1922 and boasted a bunch of new design features. Although the Selmer designs had been improving, from the release of the revolutionary Balanced Action model in 1936 through to the Super Balanced Action horn, the Mark VI brought the best combination yet of key work, tone and intonation. Selmer produced the Mark VI until 1974, making thousands of instruments during the twenty year run. During this time they made many slight improvements and, as each instrument was built by hand, there were slight variations from one horn to the next. The Mark VI was used by many of the great players who came up through the 1950s, like John Coltrane, Sonny Rollins and Wayne Shorter. Of course, these players were buying a new “modern” horn at the time, without knowing the myth that would surround the instrument in years to come. “Players were changing to the Mark VI because the feel of the keywork and the intonation was so much better,” says legendary repair man Emilio Lyons, who has rebuilt horns for players like Stan Getz and Phil Woods. As these players inspired the generations that followed, the Mark VI became part of the legend that needed to be replicated, along with the mouthpiece (and sometimes lifestyle!) Even from the 1970s, players like David Sanborn and Michael Brecker were huge advocates of the Mark VI and that continues today. Undoubtedly the Mark VI is a very good horn and was significant when it first came out. And, today for many players the Mark VI is the only choice if you are a ‘serious’ sax player. However, over the years many myths have been perpetuated by players about the Mark VI ranging from the ‘perfect serial number list’ to the bodies being made from recycled WWII artillery shells. Many even wholeheartedly attest to the Mark VI having better sound than any other horn although many blind tests have proved otherwise. Either way, as the horns have become more sought after, the prices have increased dramatically making the Mark VI not only an object of desire, but also a status symbol for many. But does the myth of the Mark VI have any scientific grounding? 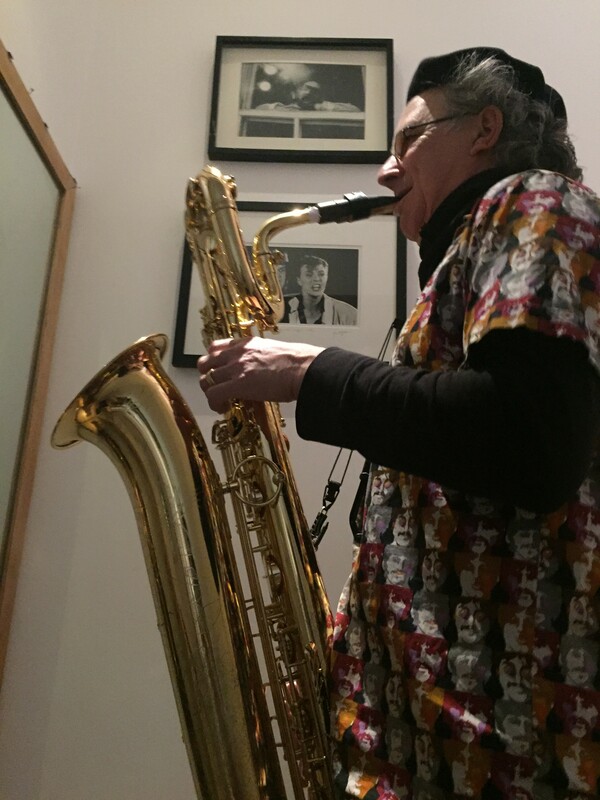 Personally 1971 My Tenor Mark VI spoke to me the moment I play my first note.It sung and has done ever since.A rich warm tone and I even went back into a fire to get it out.It is that important to me!! 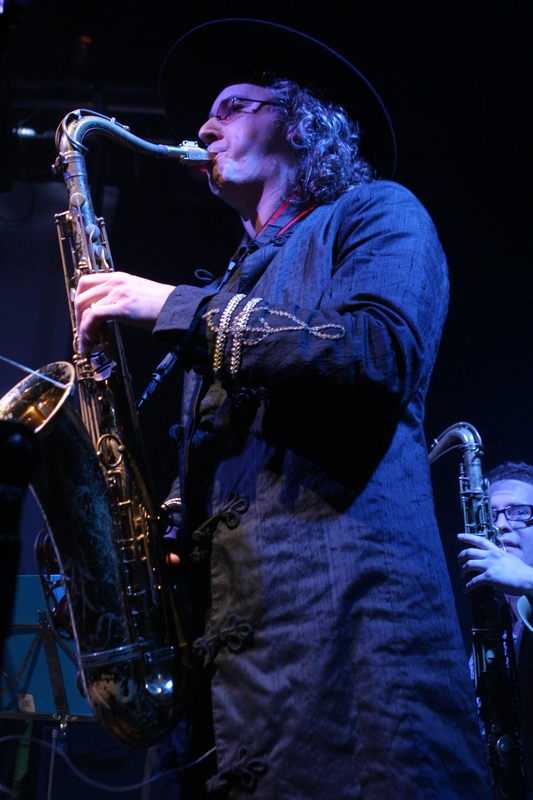 Steve Crow has personally owned several Mark VI saxes and, as one of the top repairers in England, has rebuilt hundreds. “Personally I first fell in love with the look and the romance of the Mark VI,” Steve explains. “Thinking about where a beautiful old horn like a Mark VI has been brings it to life for me – even the smell when you open the case is great”. I bought my first Mark VI tenor brand new in 1964 and used it right through till 1997, when I replaced it with a (new) one from 1960! I love my Mark VI tenors. The sound has a great focus and the horn really takes whatever I give it. I’ve used horns constantly on tour with Supertramp and besides the usual maintenance, both have been great reliable instruments. Actually I ended up selling my original VI to Laurent Hunziker in France who performs with “The Logical Tramps” – a tribute band. So that horn is also still being used to perform Supertramp tunes! 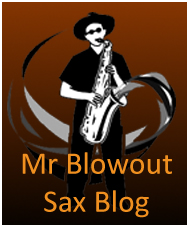 Of course choosing a 40–60 year old sax as your ‘daily player’ has it’s own challenges. It’s a bit like using a classic car as your daily commuter. You need to expect more maintenance unless your horn has a complete overhaul and rebuild by a good repairer. Understandably many horns of this age have had a lot of use, and this can affect not only pads and corks, but alignment of the body, and wear on the keywork. Even the main body tube itself can be bent over years of playing. The good news is that everything can be put right on a quality horn like a Mark VI. “Although it is a popular myth that there are ‘good’ and ‘bad’ Mark VI horns, it really just depends on how well the horn is repaired,” says Emilio Lyons. “Because the Mark VI was built so solidly, a good repairer can bring any horn back to perfect playing condition that will last another 50 years,” he says. However at the prices that Mark VI horns fetch these days, you could argue that it’s a risky venture taking one out on tour with you. Many London players these days prefer to use a newer horn on shows or tours and leave their precious Mark VI in the practice room. Unfortunately one of the main hurdles to overcome when buying a Mark VI these days is the price. With so many great quality new instruments on the market these days, prices for new horns are quite competitive. Often you will pay more for a good condition Mark VI than a brand new instrument. However, buying a Mark VI is an investment unlike most other saxes, and a well looked after horn will appreciate over time. For some people the authenticity of the original lacquer is an important factor. Many collectors will only look for horns with as much original lacquer as possible and reject horns that have had the lacquer ‘stripped’ or have been replated. However, from a player’s perspective it should be all about the sound, explains Emilio. “I’ve gold plated Mark VI saxes for Ray Charles and Stan Getz and they loved the horns – they played perfectly,” he says. “If a horn is replated properly, then it doesn’t affect the sound at all”. Owning a Mark VI saxophone is like owning a part of musical legend. And, it’s a great instrument to play and enjoy, regardless of whether you appreciate the history of great players who have used these horns, the sound and playability, or just the sheer beauty of the instrument. Regardless of whether you buy into the myths of the Mark VI, it is a beautiful instrument and a part of musical history that will hopefully stay with us for years to come. Classic FM nickname for a sax is? ?